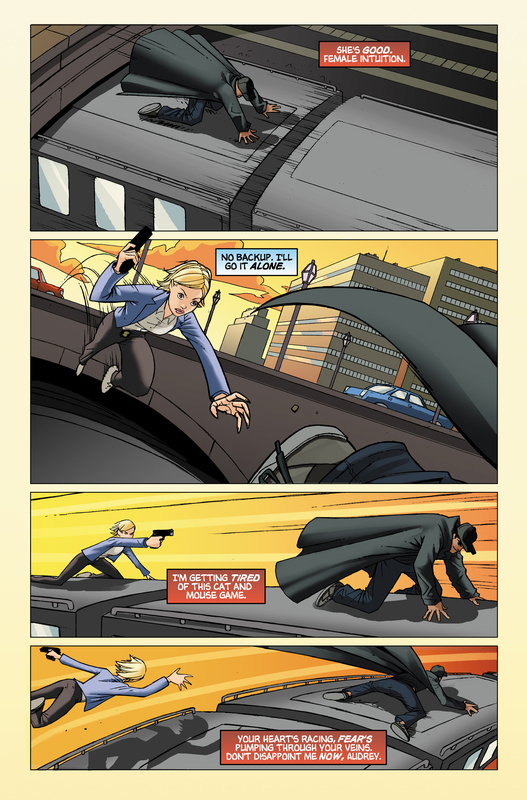 FBI Agent Audrey Hanson plays a deadly game of cat and mouse. In July 2006, Audrey is investigating the murder of a man presumably named David who fits Sylar's M.O. 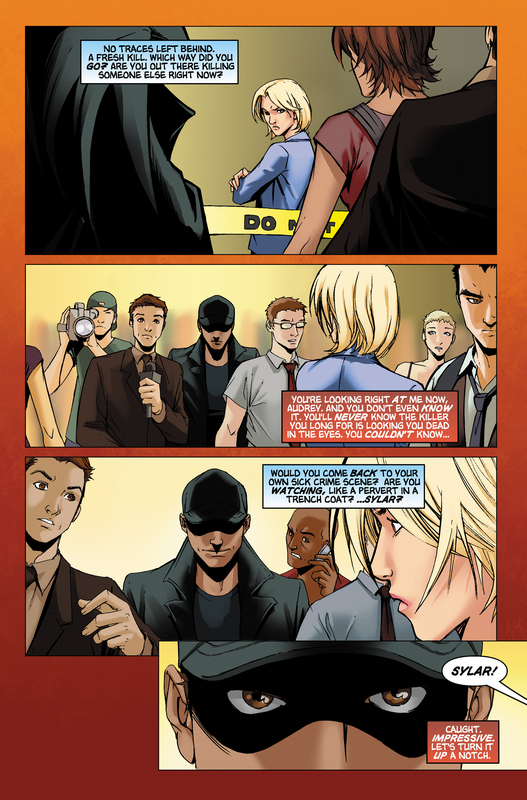 Audrey spots Sylar in the crowd. 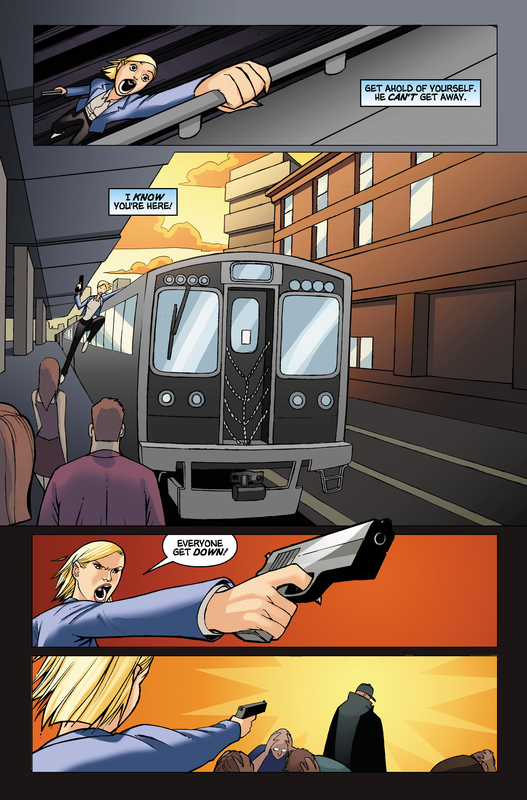 A cat-and-mouse game ensues, with Audrey chasing Sylar through the streets of Chicago and into a train station. Seeing Sylar, Audrey shoots, but it turns out to be an old man to whom Sylar gave his clothes. 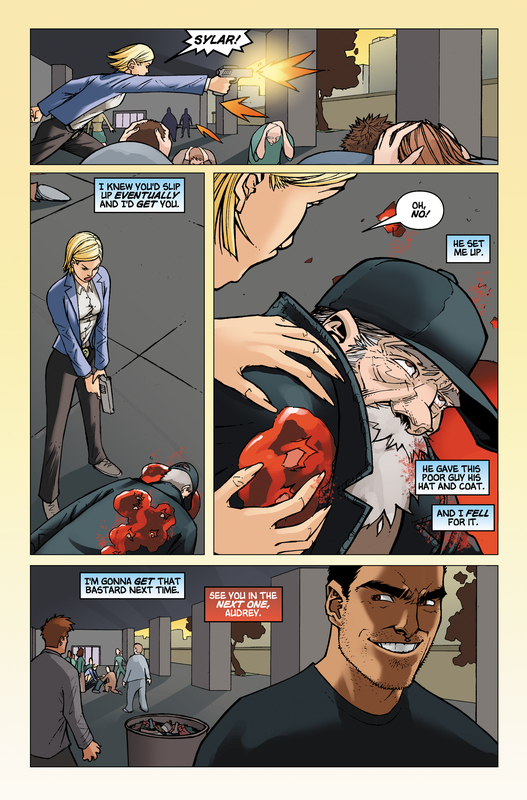 Turning Point is the first graphic novel told in the first person by two characters: Audrey and Sylar. 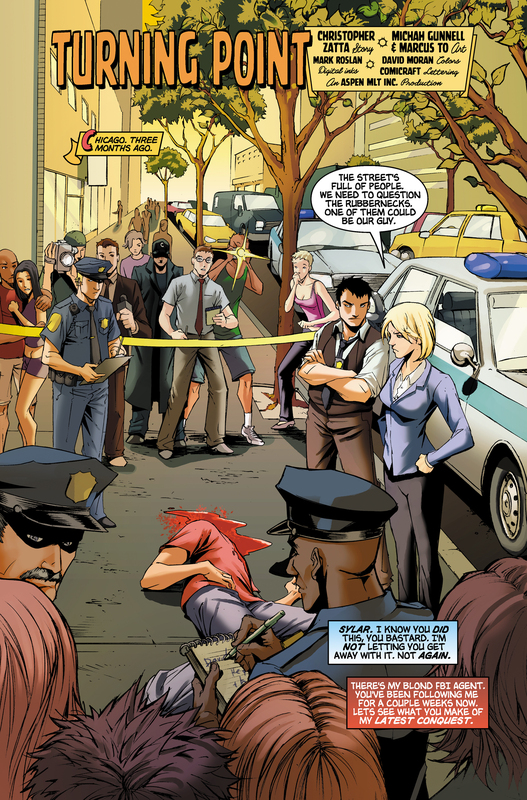 Turning Point is the first graphic novel that is told from the perspective of a character who does not appear in the novel's accompanying episode. 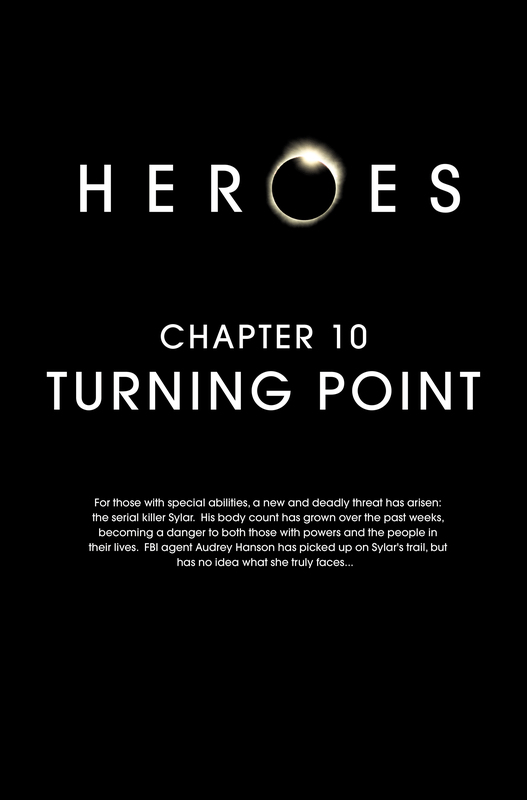 Namely, Audrey tells part of the story of Turning Point, but does not appear in Six Months Ago. For images from Turning Point, see images from Turning Point. For the transcript from Turning Point, see the Turning Point transcript. For an interview in which Micah Gunnell discusses Turning Point, see here. This page was last modified on 22 October 2015, at 18:11.